We have been very well supported by the ‘Parents’ Association’ and ‘Friends of St. Kevin’s.’ They have provided funding for many resources and they have given time and practical assistance whenever they were called upon. In 2005 Ms. Ni Ghliasain set up a Green Schools Committee to work towards the first Green Flag which was for Litter and Waste Management. Ms Walsh took over as Green School co-ordinator in 2006 and the first flag was awarded to the school. Ten years later Green Schools is still going strong. We were awarded our second flag for Energy Conservation in 2009, our third flag for Water Conservation in 2011, our fourth flag for Sustainable Travel in 2013 and in 2016 our fifth flag for Biodiversity. We use assembly time, the school newsletter and the parish newsletter to disseminate information pertaining to Green Schools. Litter and waste management is monitored on a daily basis throughout the school as every class has a Recycling Team. 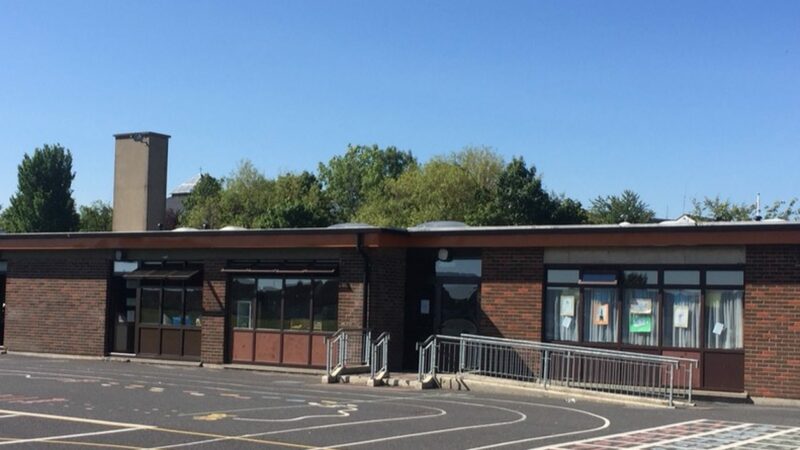 Any problems or issues are passed on to the relevant classes the G.S.C and our 4th class who are in charge of recycling duties.The 4th class girls work on a rota basis and look after the collection of paper, organic waste and paper towels daily. This system works very well and is running smoothly. The caretaker recycles the paper and deposits the organic matter in our composters. We are producing good quality compost which we use in our walled garden, Jubilee Garden and in the flower beds in the school. Our school is litter free and all the children take responsibility for this. We recycle batteries for the Laura Lynn foundation and mobile phones for…… We also take part in National Spring Clean every year. Energy usage is monitored daily also as every class has a Click Team in charge of switching off lights and computers and reducing the temperature of the radiators or switching them off. We close doors and blinds to keep heat in during the cold months. We check the electricity and gas bills on a regular basis and look for the best service providers when contracts come to an end. Water consumption is monitored daily also as there is a Tap Team in every class. They watch out for taps running on too long, taps dripping, toilets running on too long . They also ensure that a basin is used for washing up in the classroom instead of taps being left running while washing up.The principal and I check our water bills for big discrepancies and where necessary get the caretaker to check for possible leaks and reasons for unusually high bills.We have water hippos in all the cisterns which has worked well thus far. We encourage sustainable travel on a weekly basis. Every class has a W.O.W Team who monitor methods of travel to and from school each Wednesday. We run a competition in each term to see which class has travelled most sustainably. The winning class gets the “Cinderella Slipper Award”. We walk on Wednesdays, encourage cycling, car pooling, park and stride and public transport. The pupils and teachers have really embraced the Biodiversity Theme. It has been a very hands-on theme for them as they have been involved in not only sowing crops, weeding, watering, monitoring and harvesting their produce but also some of them have cooked and eaten their produce. Another positive aspect is that this work has been integrated into Literacy as they have written about in the genres: Procedure and Report. The new Jubilee Garden gives great pleasure as is evidenced by the interest and pride that the pupils take in it. On sunny days it is a haven for butterflies, bees and bugs and dare I say pupils and teachers. Parents also have supported the theme very well as they seem to appreciate the health benefits associated with growing healthy vegetables and protecting Biodiversity by planting native perennial plants for the pollinators.